1. Huawei has signed 22 commercial contracts for 5G as operators prepare for the commercial launch of the new technology. 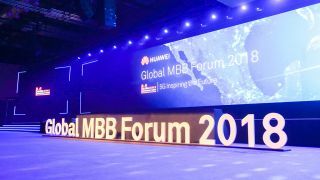 The company’s executive director and president of carrier business group Ryan Ding made the announcement during a keynote speech at the Global Mobile Broadband Forum (MBBF) in London. During his speech, Ding noted that a number of operators are expediting 5G commercial deployment in order to secure the first mover advantage. Major countries representing a third of the global population are among the first adopters of the technology. “So far, we have signed 22 commercial contracts for 5G, and we are working with over 50 carriers on 5G commercial tests,” Ding said. Ding spoke of the technical capabilities of Huawei’s 4G/5G kit, such as an uplink and downlink decoupling that can achieve co-coverage of 4G and 5G using C-band spectrum, and the ability to offer end-to-end solutions meant it was an ideal partner for operators.Ding added that the first 5G smartphones will be available next year, and phone makers are expected to launch budget 5G phones priced at around $100 soon after the commercial roll-out of 5G networks. “Every new generation of network comes with new challenges, and this applies to 5G commercial deployment, too,” said Ding. “We take complexity and deliver simplicity. That means we will provide innovative solutions to address challenges in 5G commercialization. Our close collaboration with carriers will help them find the easy way to 5G. The 5G contracts could also be viewed as a vote of confidence in Huawei. It has effectively been frozen out of the U.S. and Australian markets due to national security fears, specifically that the use of its equipment risks the possibility of Chinese government backdoors. –>The effort to ban Huawei is further described in 2. below. The U.S. government has initiated an extraordinary outreach campaign to foreign allies, trying to persuade wireless and internet service providers in these countries to avoid telecommunications equipment from China’s Huawei Technologies Co., according to people familiar with the situation. One U.S. concern centers on the use of Chinese telecom equipment in countries that host American military bases, according to people familiar with the matter. The Defense Department has its own satellites and telecom network for especially sensitive communications, but most traffic at many military installations travels through commercial networks. The international effort extends the battle lines of a U.S. campaign to keep Huawei electronics out of the U.S. Some officials see the initiative as part of a broader technological Cold War between U.S.-led allies and China for control of a world that is increasingly digitally connected—and thus increasingly vulnerable to surveillance and malfeasance. They fear the rise of technological giants that could benefit authoritarian governments, including irritants or outright foes of the U.S. The initiative also coincides with rising tensions between Washington and Beijing on other fronts this year as the Trump administration moves to counter what some U.S. officials say they see as years of unbridled Chinese aggression. Washington has placed tariffs on some imports from China, drawing retaliation from Beijing. The U.S. has also tightened up foreign-investment rules targeting Chinese deal making. Officials familiar with the current effort say concerns about telecom-network vulnerabilities predate the Trump era and reflect longstanding national-security worries. Huawei has long said it is an employee-owned company and isn’t beholden to any government, and has never used its equipment to spy on or sabotage other countries. It said its equipment is as safe as that of Western competitors, such as Finland’s Nokia Corp. and Sweden’s Ericsson , because all manufacturers share common supply lines. In a statement Friday, Huawei said it has its customers’ trust and was “surprised by the behaviors of the U.S. government” detailed in this article. “If a government’s behavior extends beyond its jurisdiction, such activity should not be encouraged,” it said. The Trump administration and Congress this year initiated a multipronged push to tighten up restrictions on Huawei and other Chinese telecom-equipment manufacturers, including ZTE Corp. The Federal Communications Commission, for instance, moved to restrict federal subsidies to some carriers if they buy Chinese gear. Even without U.S. business, Huawei dominates the world’s telecom-equipment market. Last year, the company held a 22% share globally, according to research firm IHS Markit Ltd. Nokia had 13%, Ericsson had 11% and ZTE was in fourth at 10%. Dell’Oro Group says Huawei has a 38% revenue market share in Asia Pacific, a 30% share in Europe, but only a 2% share in North America. Some other members of the “Five Eyes,” a five-member intelligence pact among English-speaking countries that includes the U.S., have also publicly challenged Huawei. The Australian government in August banned Huawei and ZTE from its 5G networks. In October, U.K. authorities said they were reviewing the makeup of its telecom-equipment market, a move industry leaders said was clearly aimed at Huawei. Still, there is a big hitch to U.S. efforts to curb Huawei overseas: The company is already popular among carriers in allied countries, including some of America’s closest military partners. Some major carriers in these places say Huawei offers the most products and often customizes them to fit a carrier’s needs. They also cite lower costs and high quality. In an effort to narrow that advantage in some countries, Washington is considering ways to increase funding from various U.S. government sources to subsidize the purchase and use of non-Chinese equipment, according to people familiar with the matter. Countries buying Chinese telecommunications equipment would be ineligible for such subsidies. In the past year, U.S. officials, including representatives from the National Security Council and Commerce, Defense and State departments, worked together to produce briefing notes about why they believe Chinese telecom equipment poses national-security risks, people familiar with the matter said. One U.S. government official said they focused on Huawei but also included ZTE, a Chinese rival with a much smaller business outside China. A ZTE representative declined to comment on the U.S. effort. Washington has circulated the notes to national-security officials as well as to embassies, with the idea that they can deliver the message to foreign officials and telecom executives, some of the people said. A spokesman for the Commerce Department said it would “remain vigilant against any threat to U.S. national security.” Spokesmen for the National Security Council and the State Department declined to comment. The Defense Department didn’t return a request for comment. U.S. officials have briefed counterparts in Germany, which has signaled a new wariness toward Huawei, according to people familiar with the matter. Huawei this month opened a lab in Germany similar to one it already operates in Britain, where Huawei products are inspected for security flaws. The U.K. government said in July it found shortcomings in the process. Germany’s Federal Office for Information Security declined to comment. American officials have also briefed Japanese officials about Huawei, people familiar with the matter said. A Japanese government official said “we share various information with the U.S.,” but declined to comment on specifics. Japanese officials in August said they were studying restrictions on Huawei. In Italy, U.S. officials met with executives of one of the country’s major telecom carriers to explain the risk of using Huawei and ZTE equipment, according to a company board member. He said his carrier was aware of the risks but planned to keep using Huawei. “We cannot ignore Huawei because they are a leading telecom-equipment provider world-wide, and that’s a very tough call,” he said. U.S. officials say they worry about the prospect of Chinese telecom-equipment makers spying on or disabling connections at a time when more items—from factories to everyday objects—are connected to the internet. “It is unthinkable that vast installed bases of Huawei equipment, plus relationships with customers would get ripped out; but Huawei market share could get capped in some markets, leaving Nokia and Ericsson to benefit,” said Richard Kramer, an analyst at research house Arete. Huawei has long said it is an employee-owned company and isn’t beholden to any government, and has never used its equipment to spy on or sabotage other countries. In a statement Friday, it said it has its customers’ trust and was “surprised by the behaviors of the U.S. government” detailed in the Journal’s report. “If a government’s behavior extends beyond its jurisdiction, such activity should not be encouraged,” it said. Vodafone Idea has stepped up gear purchases from Huawei and ZTE as both Chinese network vendors offered more attractive prices and flexibility in payment terms over two to three year-spans unlike Ericsson and Nokia, which had quoted higher rates and sought payments at the point of deployment itself. SK Telecom, a leading telecom operator in Korea, recently announced the selection of Samsung, Nokia and Ericsson for its forthcoming 5G network roll outs. Germany is considering banning Huawei from supplying its 5G equipment to local mobile operators when they start building 5G networks. Indonesia’s Telkomsel has signed a memorandum of understanding with Huawei focused on digital transformation of the operator’s business. The agreement will see the companies collaborate on the development of flexible service offerings for customers, user experience assurance and the development of enterprise mobile broadband services. Telkomsel’s digital transformation strategies are aimed at transforming the operator from a traditional telco to a provider of digital and data services. Earlier this year, the operator worked with Huawei to migrate package quota management into Huawei’s Unified Policy and Charging Controller (UPCC), part of the vendor’s SmartPCC suite, as part of efforts to reduce operational complexity and time to market of new services. Now the companies are expanding their collaboration in the mobile broadband field, and plan to jointly develop new core network solutions to accelerate the rollout of Telkomsel’s new service offerings. New Zealand Bars Huawei From Its 5G Network Over Security Fears-The U.S. has been lobbying allies to oust the company, as neighboring Australia did in August. Chinese telecommunications giant Huawei Technologies Co. has been blocked from supplying a 5G mobile network in New Zealand, a fresh setback as a U.S. campaign to shun its equipment intensifies. As the furor raged over whether Huawei is a security risk to the west a few weeks ago, a senior executive from the Chinese telecoms supplier gave a speech in London. “Actions speak louder than words,” said Ryan Ding, a Huawei board member, as he revealed that the company has signed 22 commercial contracts for 5G, the next generation of mobile internet, and is working with “over 50 carriers” on 5G trials. A few days later, the company revealed another major deal: one with Altice for 5G in Portugal. Last week, T-Mobile launched a 5G network using Huawei equipment in Poland. Both Malta and Papua New Guinea have in recent days shrugged off the criticism of Huawei from the US and its allies, pledging to continue to use Huawei for their networks. The deals underline that while it may be a blow to Huawei to see the likes of Australia, New Zealand and Japan pull away from its equipment because of security concerns, it remains a key supplier for huge swaths of the globe. In a sense, the company has grown from the world’s developing periphery before expanding into its core developed markets — and has managed to generate $92.5bn in 2017 revenue while remaining virtually shut out of the US. “We started in developing countries as well like Central Asia, Russia and Africa and then we moved into western Europe,” a senior Huawei executive, who declined to be identified, said in an interview. The legacy of that strategy means the overwhelming majority of the 170 countries in which the company sells products and services are in the developing world, including China, that account for the lion’s share of revenue. For example, Huawei set up shop in Africa several years before it won a vital UK contract that was a beachhead to more deals in Europe, and now claims to partner with customers in nearly every country in the continent. In developing markets, its critics complain that Huawei has the backing of the Chinese state, which provides financing. In September, for example, China’s ExIm Bank lent Nigeria $328m to improve its telecoms infrastructure with Huawei equipment. Huawei also wins market share by reliable technology, extensive post-sales service, and highly competitive pricing, say its fans and critics alike. “We run into them all over the world,” said an executive at one US rival. “And the way they win business is they charge 10-20 cents in the dollar. In Europe the dynamics may be more subtle but the methodology is similar. “Clearly there was commercial exigency on the part of certain governments,” said one former diplomat who was among those warning of the risks of adopting Huawei equipment in the UK. Advisers to Huawei point out to two further pages from its playbook that help cement its position: influence in R&D, and boots on the ground. Rivals such as Ericsson and Nokia, said one tech lawyer, may be able to sell kit into far flung markets in Africa, but are less willing to have teams of technicians ready to jump into action to fix glitches and maintain the service. Huawei has also funded universities, including the pioneering University of Surrey 5G Innovation Centre, and standard-setting bodies, as part of its huge research budget. 5G is a priority for China and Huawei has five chairmen and vice-chairmen on the 5G standard setting body, just one short of leader Ericsson. Huawei’s business model is one of scale that relies on recycling income into research and development — on which it is on course to spend hefty $16bn, or 15 per cent of sales, this year, according to Vincent Peng, president of Huawei in western Europe. Looking forward, telecoms analysts said developing markets are likely to continue to choose Huawei, especially because of cost. “We do not expect African governments to bow down to US pressure to keep Chinese telecoms players out of any potential 5G rollouts or 4G network upgrades,” said Kenny Liew at Fitch Solutions. “Operators will definitely be keen to slash costs where possible [for 5G], and one area is to adopt cost-effective Chinese telecoms equipment,” he added. Huawei Deputy Chairman Ken Hu said at a news conference Tuesday that evidence doesn’t support allegations of national security threats from the company’s 5G products and warned that excluding Huawei from the 5G race would result in higher costs for consumers. Huawei also unveiled plans to invest $2 billion to boost its cybersecurity capabilities over the next five years. President Donald Trump is reportedly considering signing an emergency executive order prohibiting US firms from using equipment manufactured by ZTE and Huawei, due to security concerns. Rural companies are particularly worried that such an order might require them to remove equipment from the Chinese companies, and that they wouldn’t receive compensation for replacement costs that could top $50 million at a single company. The US is like a bully boy who has to use outright fear-mongering and scare tactics to gets its way on the school playground of the world. There is no credible evidence to back up any of its fear mongering and scare tactics regarding Huawei but in this world if you repeat a lie or false assertion long enough there will be those who will believe it. I hope that the western allies who are gullible or are weak enough to believe the US lies regarding Huawei and ban Huawei outright will ultimately pay far more for their 5G service and will receive service that is inferior to what they would have received if Huawei had been given a fair chance to participate in their national 5G telecom rollouts. In my mind, this more than anything, shows the large and growing divide between the culture of the USA and that of China. The USA has and continues to have a world wide spy network. Five eyes (USA, UK, England, Australia, New Zealand) is one such network the USA is part of. The USA has been proven many times to be spying on itself (people living in America) and their allies. Remember the problems a few years back when Germany found out, via Wiki Leaks, the level of spying done by the USA on them and at every level. The UK found the same to be true. China has been shown to have industrial spy’s. Well not really spy’s, but people that worked for foreign high tech companies doing industrial espionage. Some of those workers later went back to their home countries and failed to forget what they had learned overseas. Yes this is true. Some Chinese people work overseas, then go home while still remembering what they have learned. Huawei has developed and patented, many key technologies for 5G. I believe they refused to incorporate a back-door in their network equipment that USA intelligence agencies could use to spy by monitoring user data traffic. The USA is now so paranoid they assume if they can’t use it for spying China must want to use it for itself. The remaining allies of the USA will then be forced to use (non-Huawei) network equipment that may contain back doors, which USA intelligence agencies could use to spy on Americans and their allies. The world is now far too small and interconnected to be governed by such paranoia. Its now time for the age of peace and prosperity. Its now time for the Silk Road of China to replace the bombs and napalm of the failed rogue state and warmonger USA. Its time for us all to become civilized. To pull together for the benefit of us all. Its time to reclaim the wealth of our beautiful little planet for the people and not just the 0.01% elitists. As of September, Chinese firms and government research institutes accounted for the largest number of chairs or vice chairs in the International Telecommunication Union’s 5G-related standards-setting bodies, holding eight of the 39 available leadership positions, according to the U.S.-China Economic and Security Review Commission that advises Congress. By comparison, mobile provider Verizon Communications Inc. is now the only U.S. leadership representative, according to the commission. Huawei, China’s largest technology company, has been the target of a broad crackdown by U.S. officials, who say the company’s telecommunications equipment could be used by China’s Communist Party for spying. U.S. prosecutors filed criminal charges Jan. 28 alleging Huawei stole trade secrets from an American rival and committed bank fraud by violating sanctions against doing business with Iran. “Industry has been working hard with a lot of visibility as they’ve evolved from 4G to 5G to make sure there’s a very strong consensus standards-based approach,” Purdy said. There’s no clear way for a nation to influence standards-setting in a way that would harm U.S. security, Doug Brake, director of broadband and spectrum policy at the Information Technology & Innovation Foundation, said in an interview. U.S.-based chipmakers Qualcomm Inc. and Intel Corp. are among companies competing to develop 5G technology, as are Huawei and fellow Chinese manufacturer ZTE Corp. Trouble for Huawei could benefit rivals in the 5G network gear market, including Sweden’s Ericsson AB and Finland’s Nokia OYJ, according to a Dec. 7 note note by Bloomberg Intelligence analysts Woo Jin Ho and John Butler. “The Chinese go more with the goal of driving a standard that will advantage what they’re doing,” Wessel, of the U.S.-China commission, said. Qualcomm’s expertise and research spending drives U.S. leadership in standard-setting bodies, and weakening its position “would leave an opening for China to expand its influence on the 5G standard-setting process,” the U.S. Treasury Department said in a letter that signaled Trump administration hostility to the deal. “Huawei is not at all going to control the standards as such,” Murphree said. “No single company or single country ever controls all the standards” that are forged by a mix of advanced-economy participants.